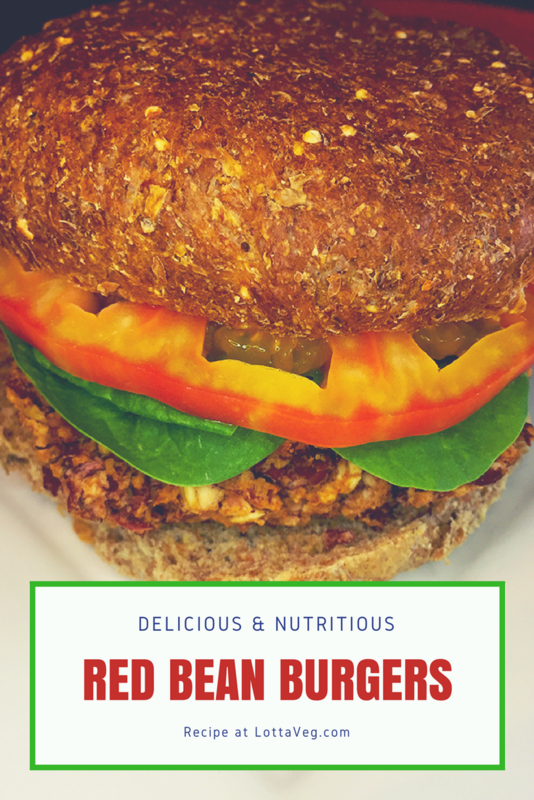 This Red Bean Burgers recipe is very flavorful and satisfying. 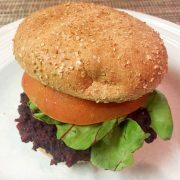 It’s a delicious and nutritious vegan burger that’s super quick and easy to make. Perfect for a weeknight meal when you’re short on time but long on hunger. 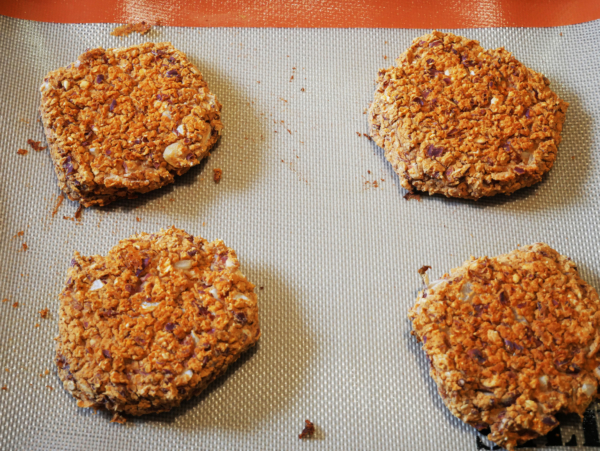 The burger patties are very moist so they won’t do well on the grill, but they great on an electric griddle if you have one. We usually just bake them, though. They’re very flavorful as is, but you can sprinkle the patties with a little garlic salt and black pepper before you cook them for even more flavor. 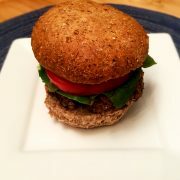 We like high quality, whole grain buns, but you can use your favorite hamburger buns. Top them with some greens, a slice of tomato and a little spicy mustard or ketchup and you’ve got one delicious vegan burger! 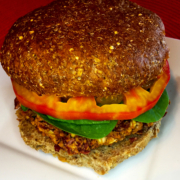 This Red Bean Burgers recipe is very flavorful and satisfying. 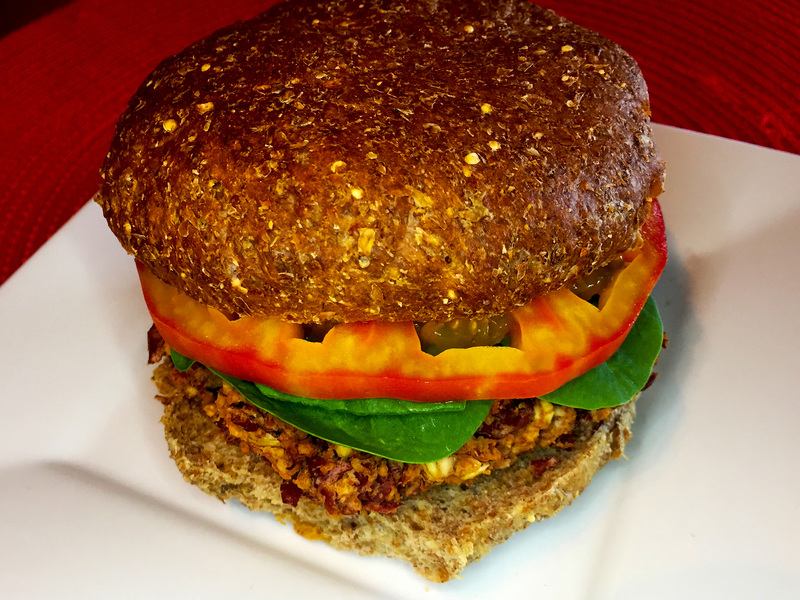 It's a delicious and nutritious vegan burger that's super quick and easy to make. Assemble your ingredients and rinse your beans. 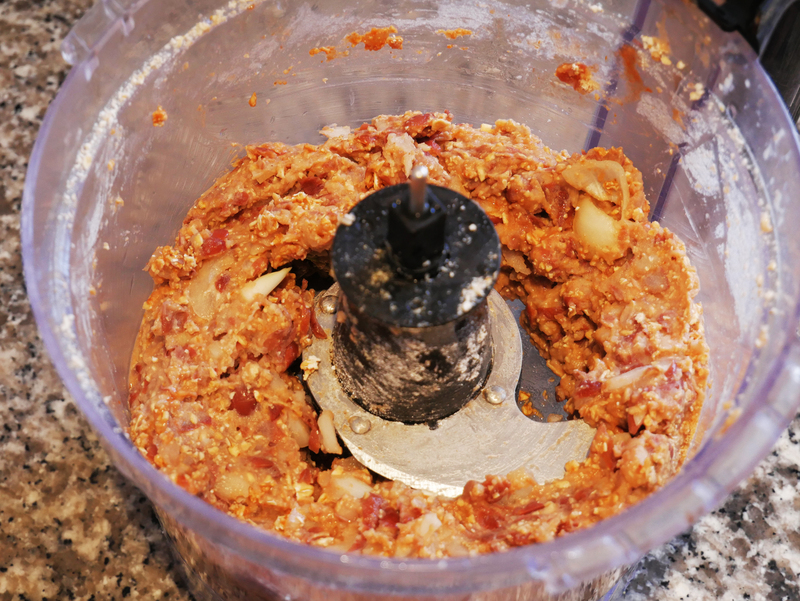 Combine all ingredients in a food processor and pulse to chop. Do not over blend, you want the beans to be a little chunky. 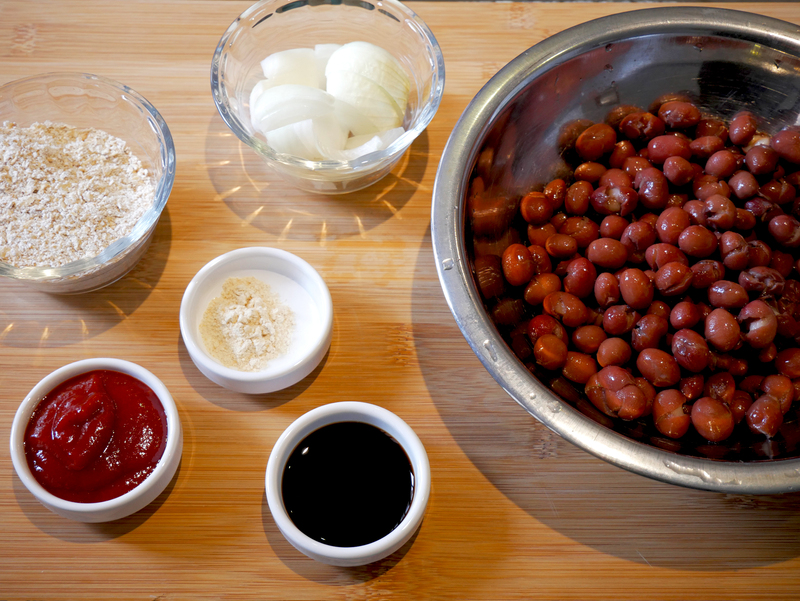 If you don't have a food processor mash the beans by hand and combine all ingredients in a large mixing bowl. 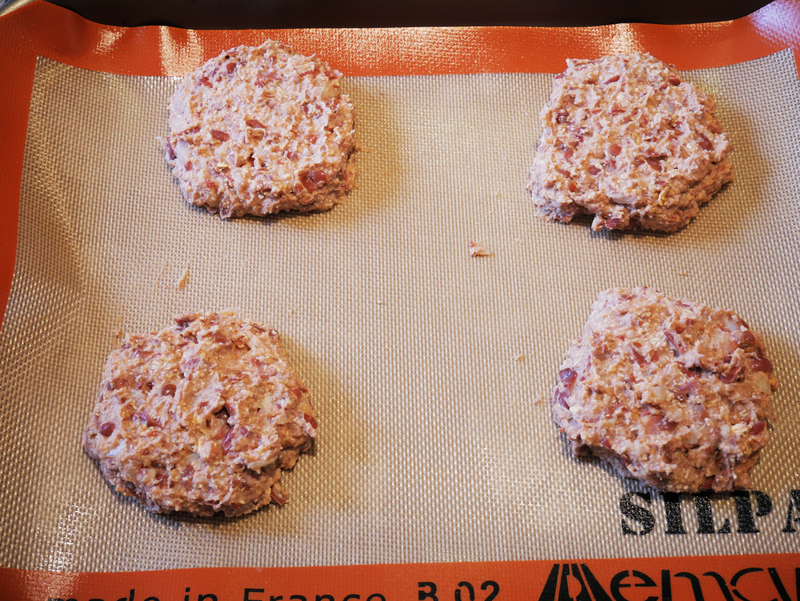 Divide the mixture into 4 even balls and shape to form patties. 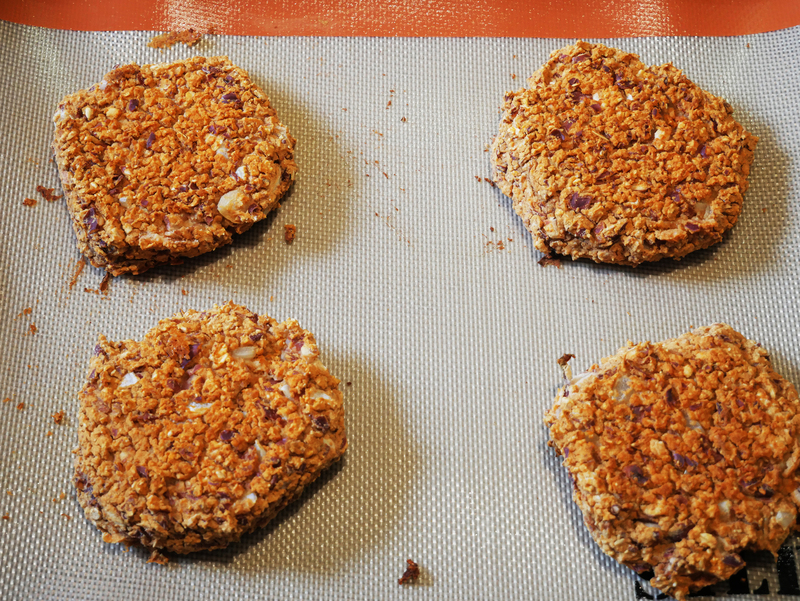 Place on a non-stick baking sheet or silpat and cook for 10 minutes. Carefully flip and cook for another 10 minutes. Bake until firm and slightly browned. 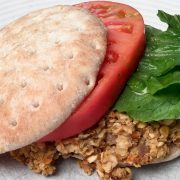 Slap it on a bun and top with spinach and a slice of tomato. Serving size is 1 Red Bean Burger with all the fixin's.